2019 Highland Ridge Open Range Conventional OT27BHS - For Sale in Gambrills, MD. 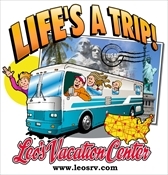 Traveling with your family got much more affordable and comfortable in this Open Range Conventional travel trailer. The kids will be able to use the exterior bathroom entrance for a quick break before heading back outdoors, and to get to their bunk beds at night if they don't want to walk through the living room. You can use the main entrance to get to your clothing in the front master bedroom with a space savings sliding door, and a kitchen with full amenities. After playing outdoors, you can return to a U-shaped dinette and sofa to relax and cool off. There is plenty of storage throughout for your clothes, dishes and such. And you can pack your larger camping items such as outdoor chairs and an entry mat, plus fishing equipment in the pass-through compartment near the front. So pull out a chair and relax under the awning!